The Biodiversity & Development Institute (BDI) is a non-profit research entity in South Africa. 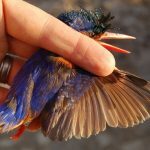 We are offering unique and immersive bird ringing expeditions in South Africa, designed to provide opportunities for ringing African birds. The bird ringing taking place during these expeditions contributes to long-term research projects. We have designed these expeditions to run for ten days in either of two unique habitats. Our primary expedition runs year-round and occurs in the Fynbos Biome in the Cape Floral Kingdom, an area rich in biodiversity with 70% endemism. 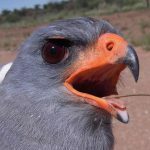 Our secondary expedition runs during the Austral summer and occurs in the Savanna Biome, a quintessential African habitat with its associated suite of bird species. Our expedition leaders are vastly experienced ringers who have PhDs based on ornithological topics. 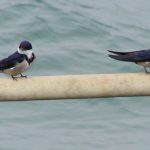 For both expeditions, we have carefully selected sites to maximise the number of species that can be netted and ringed. 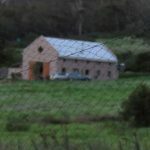 We have also gone out of our way to provide safe and comfortable accommodations, hearty South African food, and a superb overall experience. We facilitate all the logistics of such a trip from when you land at the airport until your departure. We take care of transportation, accommodation, food, and all of the bird ringing equipment. All bird ringing occurs under our permits and under the auspices of the South African Ringing Scheme (SAFRING). 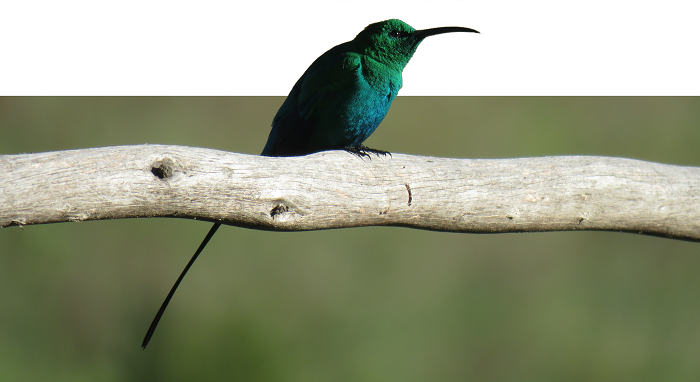 Our bird ringing expeditions provide wonderful opportunities to ring African birds, to interact with local ornithologists and conservationists, to contribute to important long-term citizen-science projects, and to experience delightful accommodations in spectacular landscapes. 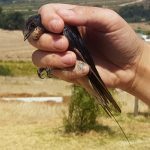 In this series of linked pages we will highlight some of the details of our expeditions, including more information about who we are, what we do and why we are passionate about these bird ringing expeditions, what happens during an expedition, where the expeditions occur, and when they occur. More details can be obtained by contacting us directly. We hope that you will join us on one of our future expeditions, and that you’ll use the expedition as a springboard for exploring other parts of South Africa.